INDUSTRY.co.id - Jakarta, the Ministry of Industry gives appreciation and support to the Association of Indonesian Fashion Designers Entrepreneurs (APPMI) in implementing Modest Fashion Project (MOFP) 2018. This MOFP activity is expected to be a stimulus for young domestic designers to build a startup in the national Muslim fashion industry that is able to dominate domestic and export markets. "MOFP 2018 is a Muslim fashion design competition from Ramadhan Runway series and we hope that the winners in this event can synergize with small and medium industry (IKM) of fashion and convection sector," said Director General of SME Ministry of Industry Gati Wibawaningsih in Jakarta (9 / 6/2018). In addition, the design of the winners of the race to be not only a graffiti on paper alone, but can be produced and marketed widely to improve the national economy. "This is one concrete manifestation done by the government in realizing the vision of Indonesia to be a fashion mecca of Muslim world in 2020," said Gati. To encourage young designers to continue to work, Ministry of Industry has run a program to increase competence of human data sources in spurring the growth of the fashion industry in the country. "In the effort of developing the fashion industry, collaboration and synergy among various stakeholders including government, business, academia and community are needed," he explained. In addition, continued Gati, a strategic step that needs to be done is strengthening the structure of the national fashion industry. "Integration will be strengthened by the supply of raw materials from the domestic textile industry which will be realized through material center," he explained. In recent years, the fashion industry in the country has continued to show positive growth. This achievement is marked by an increase in export value performance and its contribution to national GDP. Based on BPS data, the value of national fashion exports in the period January-April 2018 reached USD4, 7 billion, an increase of 10 percent over the same period in 2017 of USD4, 2 billion. 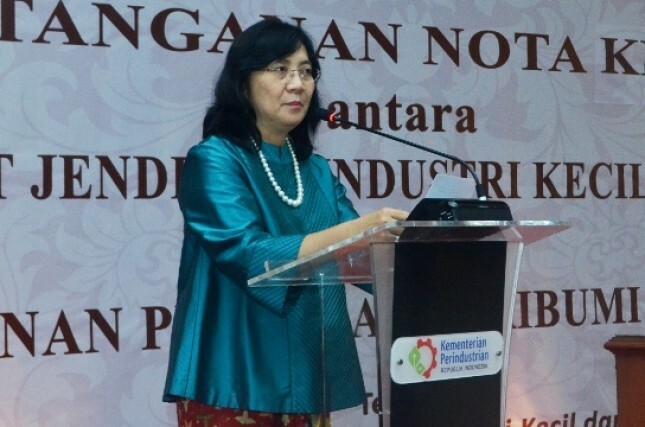 "In this position, Indonesia is able to control 1.9 percent of the world fashion market and become the 14th exporter of garments," said Gati. Regarding the potential in the Muslim fashion industry, Indonesia is one of the top three member countries of the Organization of Islamic State Cooperation (OIC) as the largest exporter of Muslim fashion products in the world, after Bangladesh and Turkey. Indonesia is able to record the export value of Muslim fashion products up to USD12, 23 billion in the last year. By 2016, the Muslim fashion market in the world reaches USD254 billion and predicted in 2022 will experience market growth of 6.6 percent to become USD373 billion. "This is a great opportunity for Indonesia to dominate the Muslim fashion market in the world. Especially, Indonesia as one of the countries with the largest Muslim population in the world," he concluded.